Caviar extract is a very precious ingredient obtained from the caviar eggs of the beluga and the sevruga fish. They have amino acid structures that science has not been able to copy. Dermastir Caviar Ampoules promote cell regeneration and they are currently among the most luxurious anti-ageing products on the market. 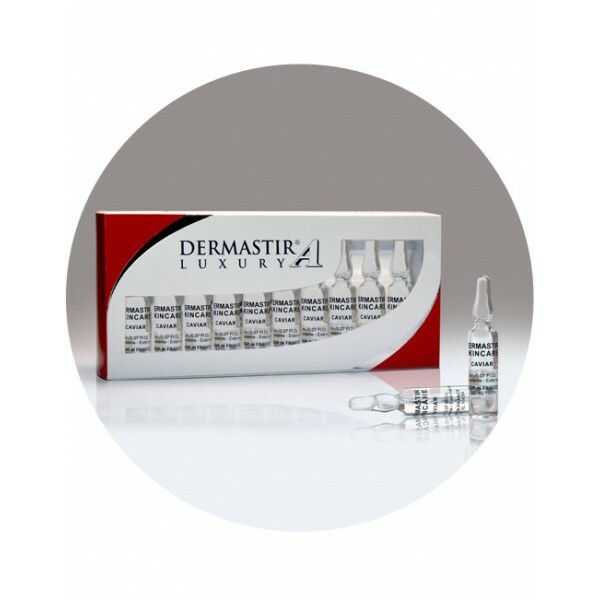 Caviar is an extremely luxurious anti-ageing substance that is very easily oxidisable and therefore it is best presented in glass skincare ampoule.